you can become an online coaching client. those goals, while at the same time meeting the needs of your lifestyle, and making your dreams come true. Meaning, I will get you the body you have dreamed about! it, live it, and see change. Difficult? Yes, but all things that are worth something demands patience and consistency. always wanted. I will lead you straight forward to the body of your dreams. awesome in those pair of jeans you just bought, or brand new white v-neck shirt. THIS IS NOT YOUR 21 DAY RANDOM PROGRAM FROM A MAGAZINE PROMISING YOU ABS IN 3 WEEKS. Every workout is designed for you. Every time you enter the gym, you will know exactly what to do, and exactly how to do it. No more guessing. No more trying to figure out seat height on a machine. A personalized program will lead you to success. Every meal is DESIGNED for you. No more panicing. There won't be a time where you just don't know what to eat, and how much of it. No more following sample diet plans online, instead, I will educate you how to contruct meals, make good food choices, prepare food, and how to deal with emergency life situations. Best part, you still get to live your life. Too many times people fall into the trap of avoiding birthdays, dinner parties, vacations, night out on the town, and any other social event. You can still have the body of your dreams and still enjoy life. I am a living and breathing example of this. I don't just eat chicken and broccoli every single day. I go out and enjoy pizza and alcohol, so should you! Each month, you’ll be given a training program based on our assessment, and the previous months progress. Your meal plans will change depending on where you are relative to your goals. With constant E-mail support, I’ll be able to make the necessary adjustments and speed your progress along. Do you have any injuries, strange issues, or addicted to Keeping Up with The Kardashians? Briefly describe your specific, short term goals within the next 12 weeks? I have been training with Raf for over 3 years now. 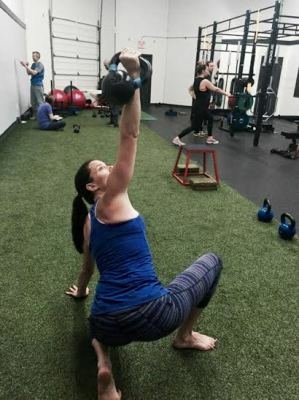 He is professional, knowledgable and has designed a wide variety of exceptional programs to help me achieve my very diverse goals ranging from long distance endurance to heavy strength. I started with Raf as a working mother of 3 young kids who thought running was the only exercise I could fit in to my schedule. I was very weak and imbalanced in my upper body and becoming plagued with minor running injuries. Raf has showed me that there is much more to training than running 6 days a week. I now run a max. of 2 days a week and am faster than I ever was before. 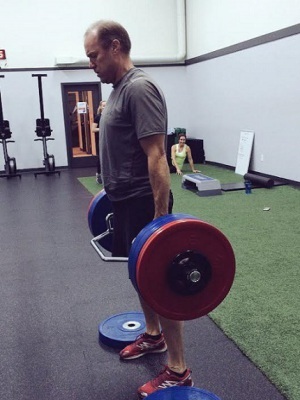 I have gained a very significant amount of functional strength throughout my journey so far. However, what I am most grateful for, more than being faster or stronger is the invaluable sense of self confidence and mental strength Raf has helped me achieve. I have a greater appreciation for everything in life as well as an improved ability to remain positive even when life throws a curve ball. All of this makes me a better mom, wife, friend, employee etc. I have always attempted to model a healthy lifestyle for my children and hope to show them that strong and capable beats skinny and frail any day. Rafal is my friend but first he was my trainer. Dependable. Consistent. Innovative. Professional. Knowledgeable. These are just a few of the adjectives that describe my experience training with Raf. He has pushed me beyond what I thought I was capable of. He saw my potential and created a program to get me there. I have enjoyed every program he has created. He has made training challenging and fun and when I was injured, he worked around it and I still saw progress. Raf has more than met my expectations all the way through. ​I have been training with Raf for a couple years now and at the age of 53 have never been in better shape. I am stronger, more fit and mentally more prepared for challenges than ever before. Going into my training with Raf we discussed my fitness and training goals for biking, cardio and nutrition. When I reach these goals he keeps raising the bar! I love it. Raf is extremely knowledgeable in all aspects of proper metabolic, strength and nutrition. Not many trainers are able to provide everything it takes (the whole package) to maximize results with effective workouts and eating habits. Having worked with him on all levels I have become a healthier and happier person. As a business owner with a hectic calendar I really appreciate the flexibility that Raf has in accommodating training schedules. If I miss a week there is always an opportunity to catch up another day. A small thing I know but really makes a difference in staying on track. Thanks for everything Raf. I am really looking forward to this year’s challenges and goals. Let’s raise the bar again! For roughly three years I have been training with Rafal. His guidance and coaching have taken me to postpartum and beyond! My sessions have always appropriately challenged me and I have conquered physical feats I never dreamed as possible. I am proud of what my body and mind can do and love what I see in the mirror. Rafal's patience, passion for his profession and belief in his clients have allowed us all to become something we never thought possible. WHAT MAKES THIS DIFFERENT FROM ALL THE FITNESS PROGRAMS ONLINE? While there are some great programs out there, most are generic, and lack accountability and motivation. This is a fitness program custom built and meant to work for your lifestyle, not to mention the whole motivation and accountability aspect. You’ll have a trainer monitoring your progress and holding you accountable to sticking to the plan through motivational check-ins. HOW DO YOU HOLD ME ACCOUNTABLE TO MY PLAN? All of this is done on an easy to use app that works with your smart-phone. You’re required to check-in to workouts, which allows me to overview your progress and consistency. If you’re consistent, we’ll review your progress and results. If you’re not consistent, I’ll be e-mailing you to see what’s going on. At the end of the day, you’re accountable to the promise you make to yourself and the promise you make to me before we get started. WHAT ABOUT MY FORM ON CERTAIN EXERCISES? You’ll be receiving videos and text instructions for each exercise I’ll be having you do, HOWEVER, if you’re still concerned about form, you can record a video of yourself performing a certain movement, and submit it to me for a movement screening analysis with feedback and tips. I'VE TRIED A LOT OF FITNESS PROGRAMS IN THE PAST AND FAILED. WHAT IF THIS DOESN'T WORK FOR ME? If you give my program a honest shot, and feel like you’re not getting anything out of it, just send me an e-mail and I’ll gladly refund 100% of your purchase. ARE YOU READY TO GET IN THE BEST SHAPE OF YOUR LIFE? APPLY NOW, AND LETS CHAT!